Thanks to our clients, consultants and project teams for a phenomenal year of accomplishments. THREE projects opened their doors: The Elizabeth Hotel, Disney Explorer's Lodge, and Moreland Village. THREE projects broke ground: 2nd + Detroit (Class A Office), Michael Smith Addition at the Warner College of Natural Resources, and The Village at White River Junction (Senior Living). This year's diversity of projects spans SEVEN TYPOLOGIES, THREE COUNTRIES, FIVE STATES and SIX Colorado cities and towns. We celebrated FIVE LEADERSHIP ADVANCEMENTS, including one new principal, two associate principals and two associates. Our team expanded with FOUR NEW 4240ers, and we celebrated the life of Hooman Aryan, who is greatly missed. Peruse some more highlights below as we launch in to 2018. We represented the inspiring ideas and visionaries behind some of our current projects with thematic books. They are still on display—if you happen to be in the neighborhood please stop by! On June 29th, we welcomed over 200 clients, consultants, colleagues and friends to our office for an open house, shared custom made books about our current projects, and invited our guests to interact with the "You Are Here" map in our lobby. 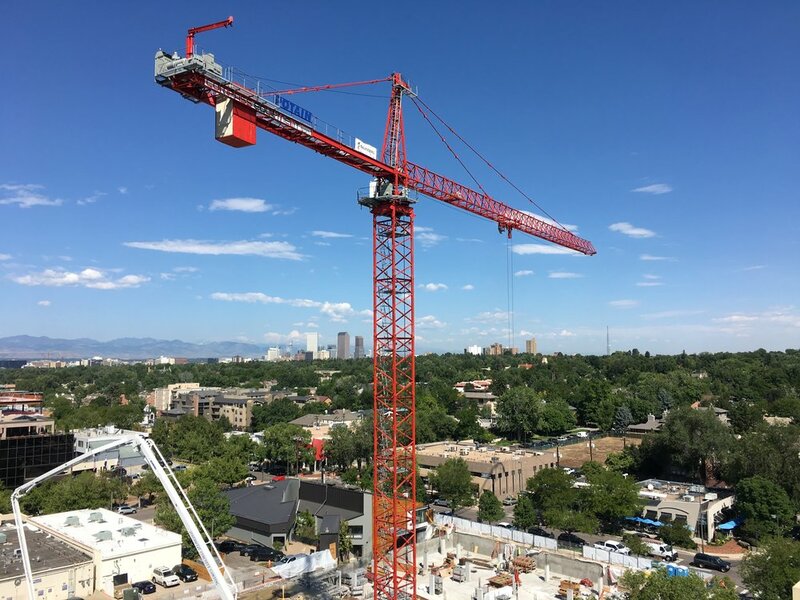 We celebrated the topping out of 210 St. Paul, the first of two buildings that will make up the St. Paul Collection, BMC’s luxury rental residences and retail offering in the heart of Cherry Creek North. The topping out was celebrated with a small ceremony at the site on October 17 and is the first of several milestones for this mixed use development. Old Town has come to life with The Elizabeth Hotel in Fort Collins, a game-changing hotel celebrating the local culture and music. Covered in The Coloradoan - December 2017 "Long Awaited Old Town Hotel Opens its Doors"
For Modern in Denver's annual Design in Bloom event, we collaborated on a honeycomb inspired floral structure with Modern Craftsman and Beet and Yarrow. 2ND PLACE WINNER! Another excellent win for Colorado State University! We congratulate CSU Housing and Apartment Life, the project team, and our interior design collaborator, Styleworks. Aggie Village received an Award of Merit from the IIDA RMC BESTawards in the Learn:Educational category. 4240's Marc Snyder and Michele Decker teamed up with Mari Strombom of Colorado State University to study the impact of the built environment on the well-being of today's students, down to the neurological level. They presented A Dose of Dopamine: Student Wellness Through the Built Environment at the annual ACUHO-i Conference in June. 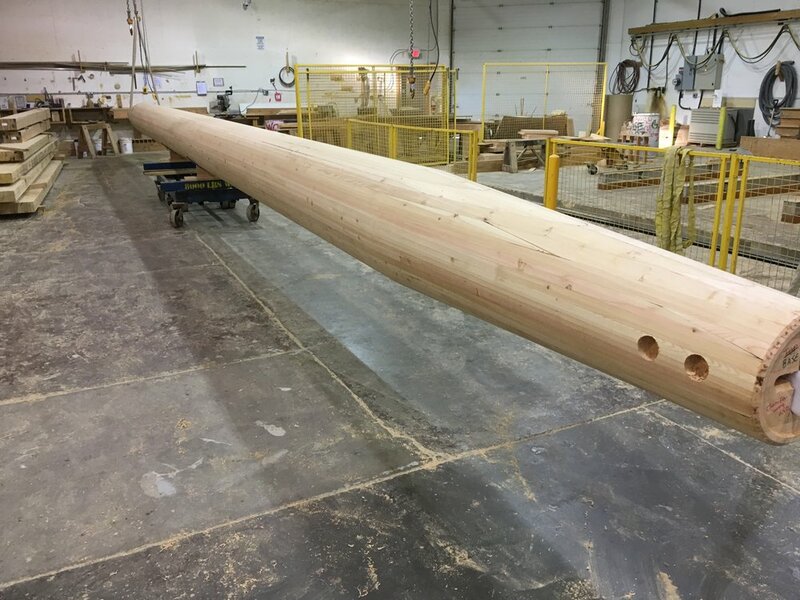 We geeked out on this nearly 55 foot glulam column installed at the Michael Smith addition at CSU's Warner College of Natural Resources. Matt Cecere detailed the inspired use of wood in South Carolina's elegant Moreland Village in The Construction Specifier's February 2017 issue with his article featured "Rooted in the Lowcountry; Designing with Wood for Sustainability and Southern Style."